Roatan shore excursions truly have something to offer for everyone who visits the largest of Honduras’ islands, and from relaxing on the beach alongside the turquoise waters of the Caribbean to heart pumping thrills obtained by zip lining through the canopy, every vacationer on Western Caribbean cruises porting here is sure to find something they will love. For groups traveling with children however, (especially young children) or those on family cruises, booking excursions can be a bit more challenging. But, there are many Roatan shore excursions that are ideal for even the youngest members of your party. We compiled a list of the top five that you may want to consider with toddlers in tow. 1. 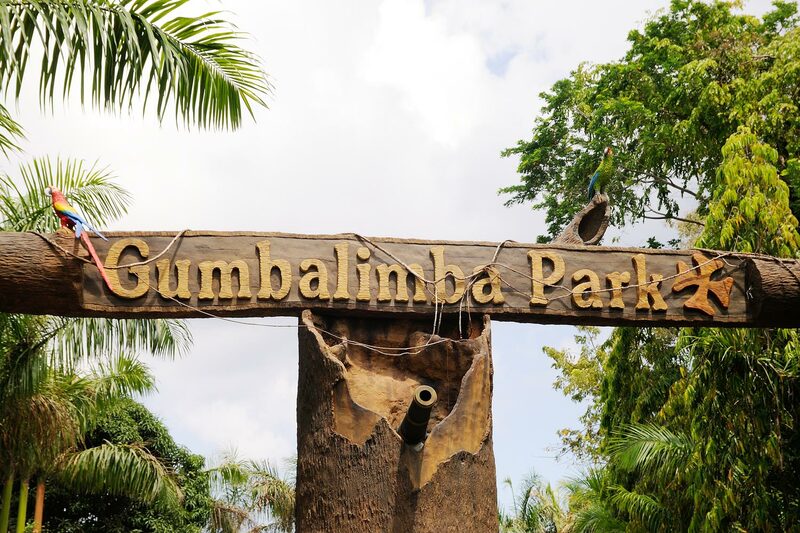 Gumbalimba Park: Where can you find beach and jungle, monkeys and hummingbirds, parrots and pirates, zipline and hanging bridge in one place? The answer is Gumbalimba Park. This is a nature park with something for everyone. Although a zip line may not be appropriate for all ages but the birds, monkeys, plants, beach area and pirate experience are something to be enjoyed by the entire family. You can hire a guide or you can walk the park on your own, zip line is optional and maybe skipped. We strongly recommend to bring a swimsuit and use the beach after a walk in this beautiful park. One warning, on a days when several ships are docked on Roatan, this park maybe crowded due to its popularity. 2. Iguana Farm: You do not have to be a kid to get a big kick out of the fearsome looking lizards, and the island of Roatan has a special relationship with the Caribbean native. Long ago, the green goblins were nearly wiped out and consumed for their meat. The iguana farm provides a safe, lush and natural environment for the island inhabitants to thrive and grow and reproduce. Roatan shore excursions to this slice of paradise are particularly rewarding at feeding time, when hundreds of the farm’s reptilian residents gather en masse to enjoy in group vegetable dining. The farm is also home to an impressive display of plant life where tropical foliage and exotic greenery can be found. 3. Snorkeling: With some of the warmest and most beautiful waters in the entire world, it is not a wonder that some of the best things to do in Roatan involve getting wet. Scuba diving is incredibly popular here thanks to coral reefs and an incredible diversity of wildlife, however families with small children are not likely to be able to take advantage of these common Roatan shore excursions. Luckily, snorkeling is nearly if not more popular on the island, and there are numerous areas from which to start a surface dwelling underwater adventure. Roatan shore excursions through the Valley of the Kings or Parrot Tree are well loved by visitors, and the spectacular black coral found at Mary’s place is not to be missed. 4. West Bay Beach: The Caribbean is the part of the world where some of the best beach vacations can be had thanks to its natural beauty, warm water and pristine environment. On Roatan West Bay Beach serves as an ideal place to take children to experience everything the area has to offer. So why is West Bay the place to be if traveling with children? Because the water here is shallow and clear making it a safe beach to let children play and enjoy. And, the bay’s water is also packed full of local fish and coral making for a colorful and exuberant local display. Heading to the beach may not be the most exciting of all the available Roatan excursions; however it is ideally suited for families and really takes advantage of the natural beauty of the area. 5. Butterfly Farm: While it may sound like one of the least exciting of all Roatan shore excursions, judging the butterfly farm ahead of time is strongly discouraged. In the farm’s enclosure can be found almost twenty different local butterfly species in addition to a wide variety of birds from Roatan as well including the hummingbird, toucan and parrot. The butterfly farm also houses an incredible amount of foliage making it comparable to jungle tours in terms of viewable flora and fauna without the expense and risk of taking children on a safari. The Butterfly Farm is also a nice segue to Roatan shore excursions that occur near the West End as this is where the attraction is conveniently located.